The first round of 30,000 pages of emails that former Secretary of State Hillary Clinton turned over to the State Department was released on the department's website Friday. The 300 emails, which totaled about 850 pages, were from her private email server, which she used to conduct both private and professional business during her time as Secretary of State, according to CNN. The emails include friendly correspondence between Clinton and her staff as well as policy briefs and scheduling changes. They haven't revealed any new information about the attack on Benghazi, Libya, so everyone is wondering, when will the next round of Clinton's emails be released, and what the heck will they reveal? White House press secretary Josh Earnest told CNN the new emails "do not change in any way anyone's understanding" of what happened in Benghazi, and the department reiterated that statement in a tweet. The messages don't appear to contain any incriminating evidence showing that Clinton brushed off calls for increased security around the U.S. diplomatic compound in Benghazi, which GOP members had alleged during the investigation that followed. But the emails do show that Clinton had received correspondence and foreign affairs advice from people outside of the department. 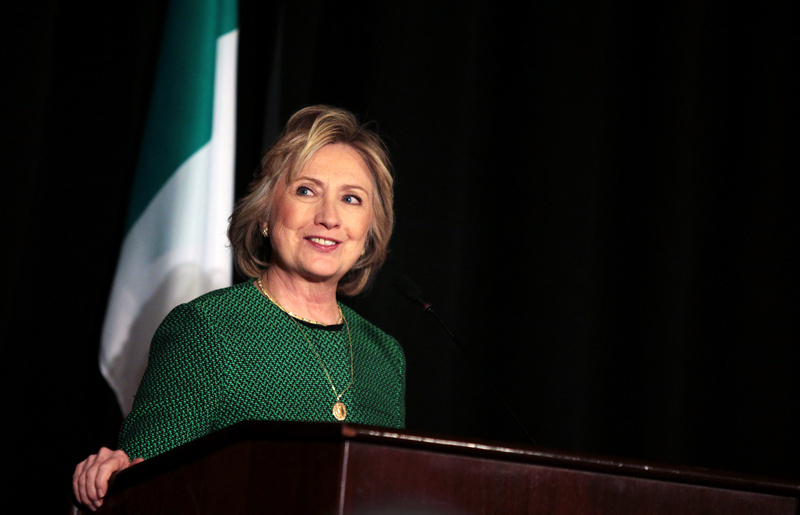 For instance, she received advice from Sidney Blumenthal, a former White House aide who has been scrutinized for sending memos, which contained information he received from his own sources in Libya, to Clinton about the country while also advising businesses who were trying to develop in post-Muammar Gaddafi Libya according to CNN. Clinton often read the memos, commented on them, and then forwarded them to Jake Sullivan, Clinton's deputy chief of staff. Blumenthal will comply with a subpoena from the House Select Committee on Benghazi this week, which will be the beginning of an investigation into his work advising Clinton, according to CNN. Hillary Clinton is glad to see the nearly 300 emails provided by the Department to the Select Committee released today to the public. The public can now see for themselves there is nothing new here. This release does not change the facts known to the Accountability Review Board and several Congressional committees for over two years about the tragic events in Benghazi. It's beginning. I just would like to see it expedited, so we could get more of them out more quickly. [T]hese email messages are just one piece of information that cannot be completely evaluated or fully understood without the total record. The Committee is working to collect and evaluate all of the relevant and material information necessary to evaluate the full range of issues in context.